Is it worth investing in plastic business cards? A business card is clearly associated with a piece of rigid paper on which contact details are printed. Modern, more durable form of this traditional medium are business cards made of plastic. What are the advantages of these business cards, is it worth deciding on at least one party? A business card made of plastic looks like a small credit card or ID card - the form is more or less the same. You can have different objections to this type of business cards, if only because of the very fact of producing plastic. The main advantage of such a business card, however, is its durability. There is no possibility that the data will melt, flooded with morning coffee, before the customer calls. No terrible downpour or accidental tear. They will also not be an area for random notes. If you hand someone a plastic business card, you can be sure that it will not throw it away as easily as a piece of paper. Plastic business card is a certainty that the customer will keep it, even for a few days. 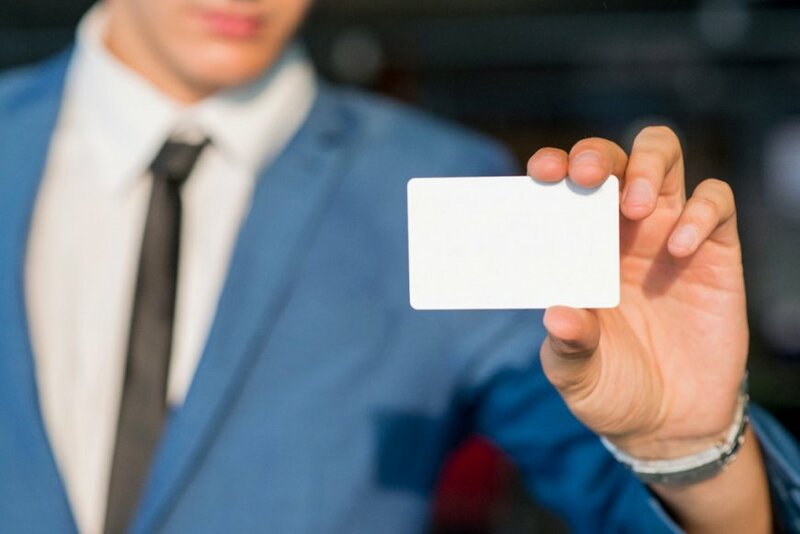 Although he is unlikely to experience a flooding catastrophe during this time, a huge rainfall on his way home or other events with similar effects, the form of a business card will increase the probability of using it anyway. Thanks to the durable plastic material, we can be sure that the customer will not accidentally throw the business card away, cleaning the wallet from other paper scraps. What's more, such a business card stands out - it certainly draws attention at least for a moment. Not everyone wants to order a huge batch of plastic business cards. Often having only a small batch is an additional advantage. They can only be given to selected, particularly promising or regular customers. This makes them feel distinguished in some way - plastic always looks more solid and durable than even the thickest paper covered with foil. Allow yourself to be associated with an "important player in the market". When handing over a business card made of plastic to a customer who returns once again, we invite him/her to further, fruitful cooperation. This material offers new possibilities that are not available for paper. Plastic is used to make very interesting, eye-catching and unique business cards that you want to keep in your wallet. It is also an increasingly popular material for making loyalty cards, especially in prestigious shops and chains. Gift cards, badges and VIP cards are made of plastic. Thanks to that they are durable and resistant to weather conditions or accidental damage. What types of plastic can they be made of? PVC 0,5 mm - slightly thinner plastic, white, printable. Plastic is also available in many interesting colours - from transparent, enabling original designs to black, silver or gold. Business cards with a "special effect" in the form of a milky shade, frosting or a matt surface are also made. There are plenty of refinements and ways to make such a business card even more eye-catching.